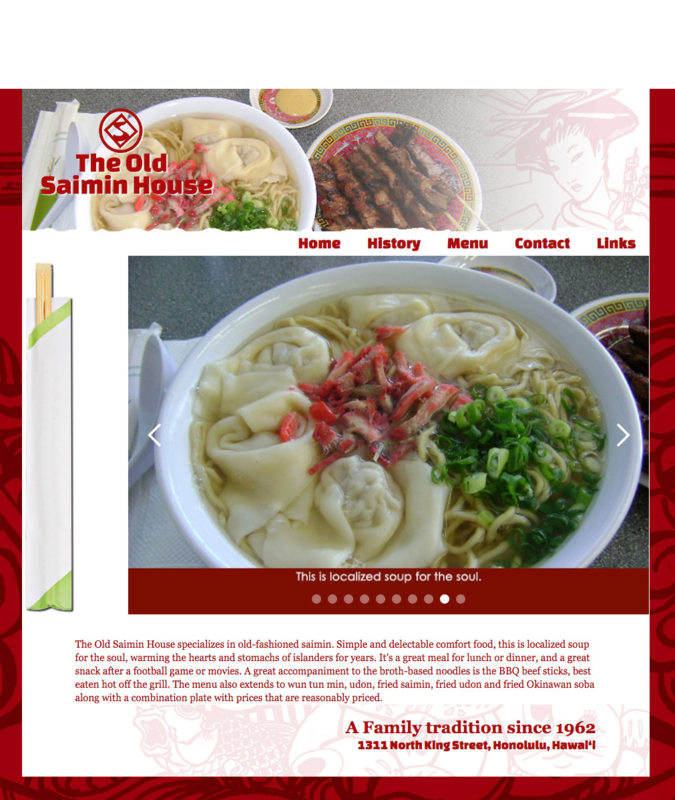 Honolulu's Old Saimin House wanted their website to be as simple and accessible as their menu. 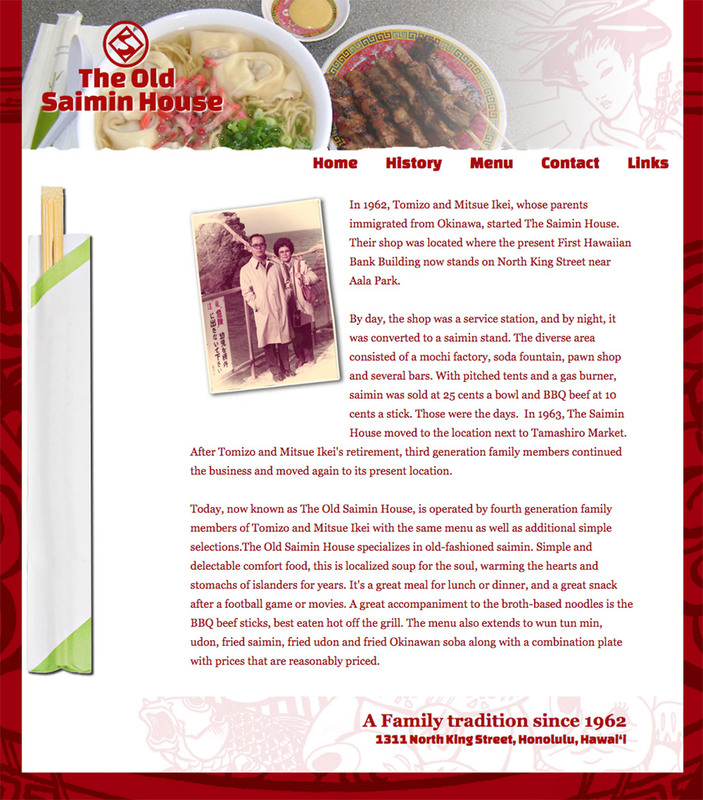 To that end, I kept the design fairly basic, using some of the shop's existing t-shirt art as graphical elements for the site's background, header and footer. 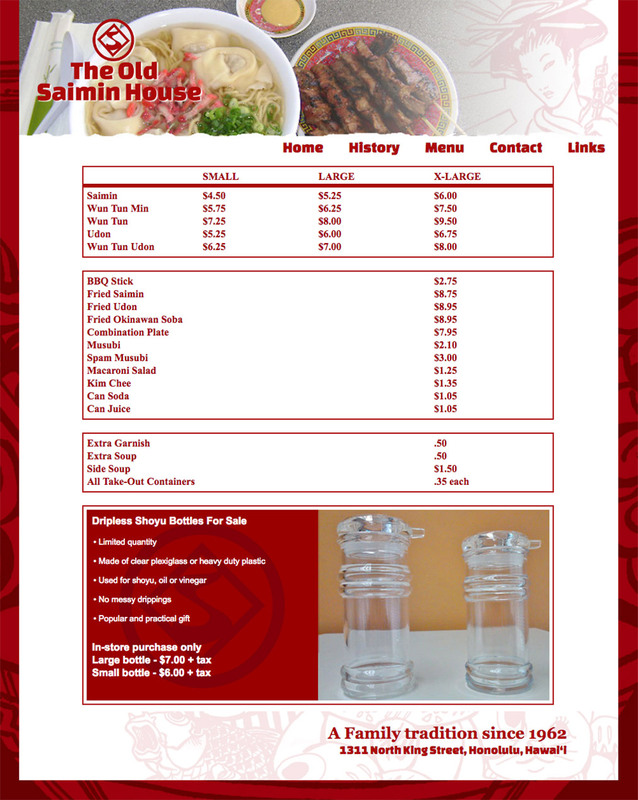 There was no money in the budget for food styling or a photoshoot, so again I kept it simple, opting to use photos provided by the client.